Running since 1997, CAFE Flutes (Cardiff Amateur Flute Ensemble) has been playing many different varieties of flute music for over 20 years. The ensemble has gone through several changes over the years but currently we have around 20 members who meet every other Wednesday at Whitchurch Methodist Church Hall. 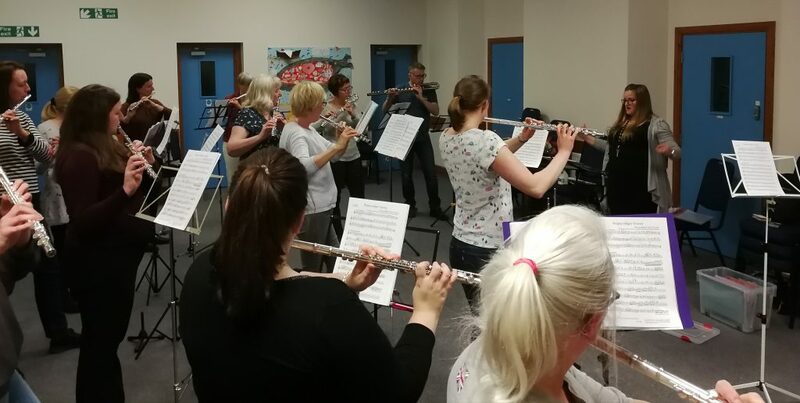 We are an incredibly friendly bunch of flautists, who enjoy getting together to catch up and working together to play beautiful music as part of a group. 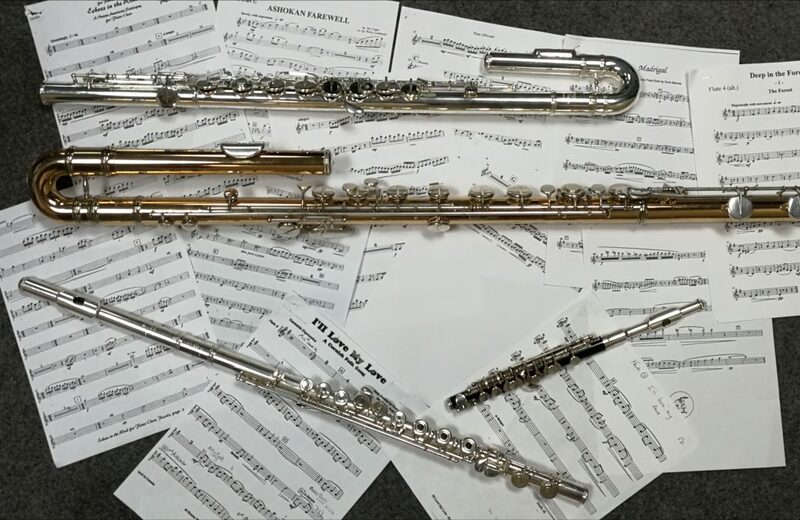 The group consists of all standards, from music graduates to novices, and we play a selection of flutes from piccolo to bass flute and everything in between. At Christmas that additionally meant percussion as well! We have a large library of music from trios to full flute choir pieces and from popular favourites to classical greats. Some of our music has been composed for us, whilst other pieces have been bought over time and we are constantly adding to the collection. If you’d like to join us please visit our Join Us page.